First off, my friend Chip (and the guy I call my brother) would probably be surprised I even read this book. We tend to look at the world from opposites sides of the aisle. Anyway, I found this book – and I thought it looked interesting. 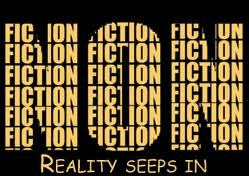 I try to read one non-fiction book every couple of weeks to keep my feet fully planted in reality. Muzzled is a collection of 28 chapters that takes a somewhat humorous look at how we as a society have taken POLITICAL CORRECTNESS to an unhealthy level. As a teacher, I particularly enjoyed the chapter Seeing Purple. What I liked about this book was that I could read a couple of chapters, put it down for a few days, and pick it back up again with ease. The author makes a few good points, but overall the stories were long and boring. The topics range from frivolous to quite serious with some feeble attempt at humor. In the end, I felt that Smerconish is a bit biased and stuck on his own side of the aisle. Or maybe … my side of aisle just doesn’t understand why he whining about it all.